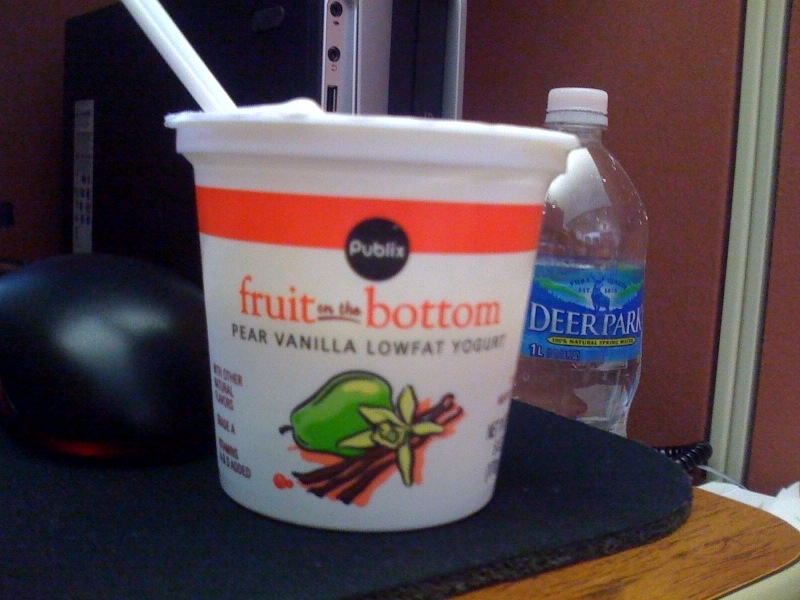 Publix brand pear vanilla lowfat yogurt. I don’t know why, but it’s really tasty. I wish I had about 4 more containers of this stuff.